2016 is shaping up to be the year Canberra’s property moves forward according to those on the ground in the nation’s capital. Once in a similar realm as markets such as Sydney, Canberra’s real estate has not enjoyed the same trajectory as seen in other areas of Australia recently, but 2016 could be there year that changes as the city begins to evolve. “Last year was the year we moved out of neutral, and this is the year I think the market will really begin to kick into gear,” Claire Corby, director of Capital Buyers Agency, said. “In the past we’ve tended to follow the Sydney market, but unfortunately that hasn’t happened recently. I think the issues we had with the Mr Fluffy asbestos situation probably triggered some of the problems we had, but now we’re starting to move past that,” Corby said. 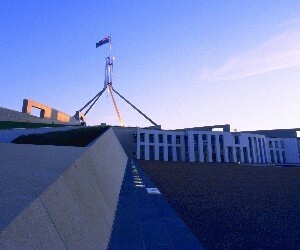 In her opinion, Corby said current buyer confidence on display in Canberra is perhaps the biggest positive for the city. “Already this year we’re starting to see things pick up. At all of the auctions we’re seeing bids from everybody who has registered, which is different form the last little while,” she said. Though she has a differing opinion on the impact Sydney’s market performance has on Canberra, Penny Hyde, licensee of Penny Hyde Buyers Agent, agreed that confidence levels in Canberra are higher than they have been in the recent past. “I think we’ve always had our own market in Canberra. There might have been some overspill from Sydney in the past, but I don’t think it was what pushed us along,” Hyde said. “The confidence does seem to be back in the market now though. I think we had a period there where things were put on hold for a little while, but now I think we’ll return to a much more positive period,” she said. For Corby, population growth in Canberra and a resulting change in how the city is perceived are behind some of the recent improvements. “The population is growing, Canberra’s almost up to a population of 400,000 and people are starting to realise that it’s a city that can stand on its own two feet and isn’t completely reliant on the government and public service. Corby said she is receiving interest from local and interstate clients, many of whom are looking for properties they can add value too. “We’re still probably a fairly expensive city, for a while our prices were right around Sydney’s, but there are pockets where affordability can be found. Hyde too said she is working with locals and “savvy” investors from outside Canberra and agreed houses are the popular target. “The family style homes are really popular. New build homes and the financial benefit they offer are proving popular,” she said.